I've lived in Utah my entire life. Same house even. I've been going to my university for six years. And yet I had no idea the most delightful bookstore/café was just up the street from my school. I have a class that just started this last week. Friday nights, 5-9 and Saturdays 8:30-5:30. (Horrendous, I know.) However, Saturday we got an hour long break for lunch. I couldn't decide what I wanted to eat so I just drove around a bit. I spotted something out of the corner of my eye and thought I saw something that said book. Immediately I pulled a U-turn and went to see what it was. 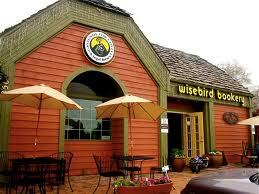 What I found was the Wisebird Bookery. I had found a hidden gem in good ol' Ogden, Utah. (Not that we are short on stuff like that in Ogden, we have Historic 25th street.) But I had never even heard of this place. And that's really saying something since it's up the street from my school and practically across the street from the place my mother has worked for nearly 30 years. Wise Bird Bookery is a tiny bookstore, mostly made up of books from local authors, books that are personal favorites of the owner, and a shelf of the trending books, as well as the obligatory religious books (at least one from about half a dozen different religions.) 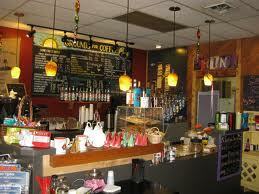 It's also a café, with specialty drinks that make the whole place smell good. And, on Saturdays and Sunday's they have a special. Crepes! Any kind you want. I was so enamored the second I walked in (I was greeted by a very sweet Golden Retriever when I walked in) that I knew I wasn't going to be leaving there until I had to go back to class. So I went and ordered myself a crepe, a drink. While they were preparing my food the ladies that own the place asked me questions and chatted, by the time I got my food they practically had my life story. I got my food and found a spot in the window seat and ate while I read. After that I explored the tiny shop for a bit, ended up buying a book (big surprise, right? HA.) and then sat down and chatted with the author that was there with his book. He was an old friend of Howard Hughes and with the help of two other friends had written a book about him. "We Knew Howard Huges". I was enjoying myself so much I about choked on my cinnamon steamer when I looked at my watch and realized I had five minutes to get back to the university. I have fallen head over heels in love with this place. They have a new customer, can't wait to go back! Any fellow Utahns ever been here? 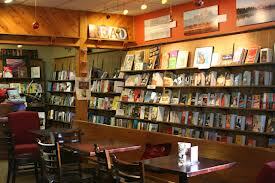 Or what is your favorite bookish place? Leave a comment and tell me! Oh, and I just started my own blog. (I'm super excited!) Check it out, if you'd like. It'll be live later today. The Bookish Thespian. I used to live right down the road from here and would pass it every single day, but I'm sad to say I never stopped in! I don't venture north all that often anymore, but will be sure to stop by when I do. Hopefully, it will be on a Saturday so I can snag a crepe! Yum! Kimberly, I am driving up to Ogden to visit this place! It's a done deal. I've always complained that Utah has very few cute bookstores. Yay! Will and I found the coolest used bookstore ever while searching for books for our wedding centerpieces! I'm so happy that I stumbled upon it because I seriously love it! And they have a cute kitty that runs around! And the lady offered me tea! It was just so cozy! My daughter went to Weber State too. What a gem you found. This sounds like it would be an amazingly awesome place. What a great find after all those years! Super cute place! Where abouts in Utah is this place? I want to take a visit! I looooooove finding random bookish places!! !